There are many varieties of these pouches, including organic. Head to Target where you can get some great deals with these coupons. $1.55 after coupons and rebate! 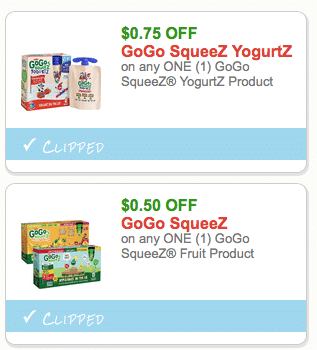 $2.99 after coupon, so just $.75 per organic pouch! $1.99 after coupon, so just $.50 a pouch! These snack pouches are great to have on hand for any age.